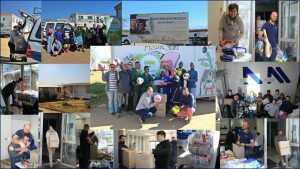 Mandela Day 2018 was celebrated in the Alaris Community with the theme #ActionAgainstPoverty. This annual international day in honour of Nelson Mandela, is celebrated annually on 18 July, Mandela’s birthday. Mandela Day is a global call to action that celebrates the idea that each individual has the power to transform the world, the ability to make an impact. At Alaris, we embrace the concept of “changing one life at a time” and this year, we decided to focus on a beneficiary in our local community. 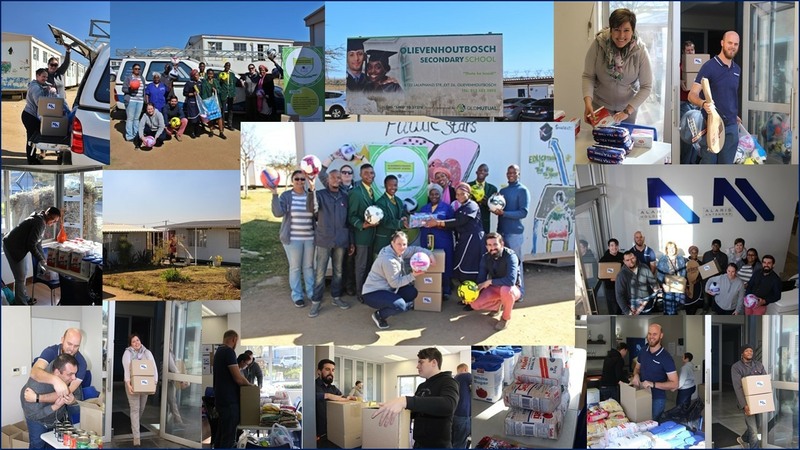 There is so much need in and around our community for basic and essential items that we therefore decided to do a collection of non-perishable foods and sporting equipment for a high school close to our offices. The school that was chosen as beneficiary, is Olievenhoutbosch Secondary School, based in the township of Olievenhoutbosch in Centurion, on the outskirts of Pretoria, South Africa. This is a “no fee” and public school, based in the Olievenhoutbosch township in Pretoria. The concept of a “no fee” school is that the parents do not pay school fees, since the school is located in a very poor community. They are dependent on grants from the Department of Education and the involvement of the business community. The school has about 1400 learners and the 107 matriculants achieved a 100% matric pass rate last year, including a couple of distinctions. The great concern is that some of the learners go without food for a whole day. The school is managed by a strong and positive principal whose aim is to bring change to the community. Alaris staff assisted in sorting and packing the collected goods, and a group of staff members visited the school to distribute the goods, which were gratefully received by the headmistress and representatives from the student body.